Cost: $110, does not include book. Join Katie Louvat for an 8-week discussion, movement, and meditation series on the topic of Joy. 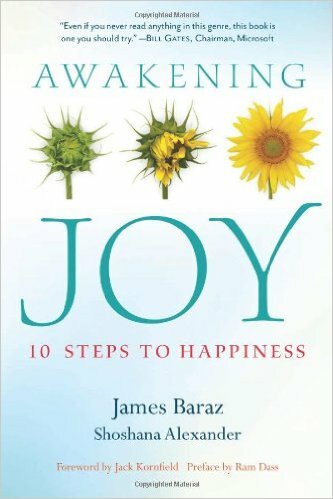 In this first series we will read James Baraz and Shoshana Alexander’s book Awakening Joy: 10 Steps to Happiness. Each weekly session will include time for gentle and joyful movement, quiet meditation, and a thoughtful discussion. All levels of yoga students are welcome—even beginners. NOTE: Please read the introduction and the first chapter in preparation for the first meeting. Books can be purchased locally at Sundance Books and Music. 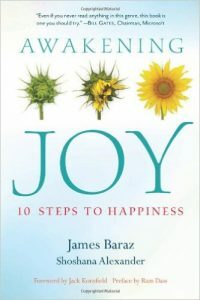 ABOUT AWAKENING JOY: Filled with inviting stories, exercises, and practical advice, relevant to people of all faiths or no faith at all, Awakening Joy will guide you on a journey to embrace happiness and well-being, and chart a path to an enriching and meaningful engagement with life. See our Certified Instructors page for teacher contact info. The Yoga Center – Reno offers affordable yoga for the committed weekly student, focused on the therapeutic benefits of yoga in a fully accessible facility. Copyright 2016 all rights reserved.